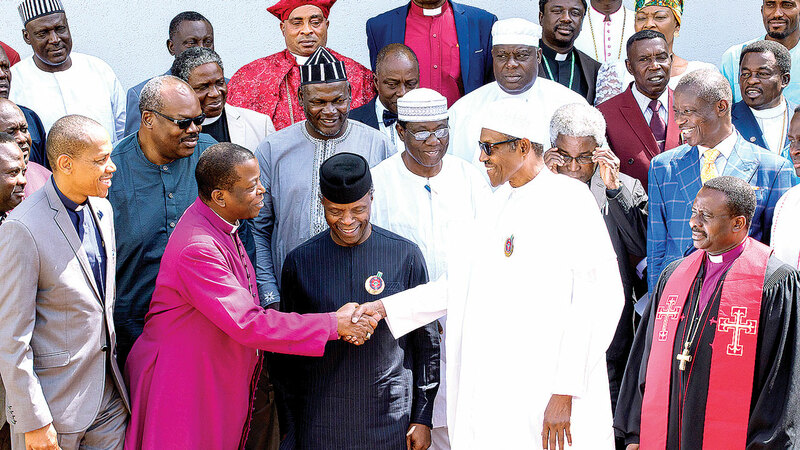 The leadership of the Christian Association of Nigeria (CAN) ‎yesterday demanded the exit of Nigeria from international religious organisations such as the Organisation of Islamic Countries (OIC) to maintain the country’s secularity status. But it said it was not opposed to the floating ‎of Sukuk Islamic bond by the Federal Government. The Federal Government had faulted CAN’s allegations that there were underground plans to Islamise the country with the recent issuance of its N100 billion Sukuk bond. But reacting to the development yesterday, CAN President, Rev. Olasupo Samson Ayokunle, said the body was not against the initiative but that it was wrong for the government to be the one promoting it. “As I said before, there wasn’t any demon in Sukuk bond. But what was wrong is the constitutionality. “No CAN member is opposed to any Muslim running their own financial system, but it is wrong for the government to be the one who will be promoting it and initiating it. “It was a violation of the constitution. We have talked to the government today (yesterday) to keep the sanctity of the constitution, which will guide the behaviour and actions of everyone. They must be able to keep everybody together,” Ayokunle said. Other demands he said the group took to the Presidential Villa included the need for President Muhammadu Buhari to take a decisive action against herdsmen’s attacks on farming communities in the country. Ayokunle, who led the delegation said President Buhari must also come up with lasting solutions to the menace of armed robbery, militancy and kidnapping among others on the increase across the country. 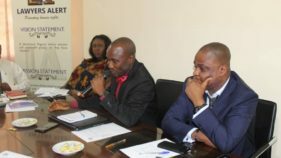 ‎Briefing State House Correspondents after their closed-door meeting, Ayokunle said the demands had become imperative in the interest of peace and togetherness of all citizens. 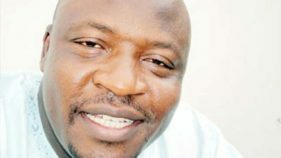 He said President Buhari must also pay attention to the payment of salaries and allowances of workers, as ‎the lack of it is what leads to the incidence of suicide and increase of crime. He warned that when people cannot find food to eat, they resort to whatever they can lay their hands on. “We have been supportive of this government, when you see people speaking their mind, you know that those people don’t want things to scatter. “The people that don’t talk are the enemies of the nation. 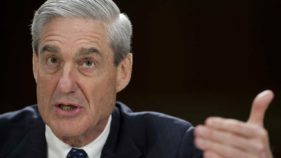 When you see things going wrong, you quickly speak out so that they can be corrected so that the nation can move together as one,” ‎he said. According to him, Buhari blamed the attacks on events following the demise of former Libyan leader, Muamar Ghadafi, where those who were armed by him moved down south and now living with the herdsmen in Nigeria. “The president responded in the affirmative that it was the result of the end of Ghadafi in Libya whereby those who were armed by him have now moved down South, infiltrating into our country and are living with the herdsmen in Nigeria ravaging communities. Buhari also held a closed-door meeting with the leadership of the Muslim community at the State House, Abuja. After their separate meetings, the Secretary General, Jama’atul Nasirul Islam (JNI), Khalid Abubakar Aliyu, told reporters that they had during the meeting demanded fairness, good governance and speedy appointments. He said the group also prayed with the president and thanked God for his speedy recovery. A statement by Buhari’s Special Adviser on Media and Publicity, Femi Adesina, yesterday stated that Buhari, at the end of the meetings, assured the religious leaders and all Nigerians that his administration would address rising concerns of corruption, insecurity and injustices in various parts of the country. The president, according to the statement, told the CAN delegation that he had already given instructions for the submission of all the names of heads of parastatals in order to address the allegations of lopsidedness in appointments. “On the question of one-sided appointments, we will look at it. I have given instructions that a list of all heads of parastatals be submitted to me and I know they will not delay in doing that,” he said. Buhari said his administration would ensure the reform of the police and judiciary, describing both institutions as critical for the security and stability of the nation. “There is no way we can be comfortable in our country unless we are lucky to have a good police force and judiciary. “We need a good police force and judiciary to really maintain the legitimacy and the confidence of the populace in governance,” the president added. On the fight against corruption, he assured both CAN and the JNI leaders that his administration would always be guided by the rule of law and constitutionality in prosecuting all those that had been accused of corruption. He explained to the JNI delegation that corruption in the country had taken a cultural dimension, urging all religious leaders and Nigerians to join in the fight in order to reverse the trend. “When something becomes a culture, it is more difficult to stop, but collectively we will prevail,’’ he assured the leaders. In his remarks, Rev. Ayokunle commended the president’s achievements in the fight against corruption, empowerment of the military to flush out Boko Haram terrorists and the recovery of some of the kidnapped Chibok girls. Aliyu, on his part, appealed to the president to pay more attention to the yearnings of Nigerians, urging him to continually walk in the fear of God. Other members of the CAN delegation were the Primate of the Anglican Communion, Most Rev. Nicholas Okoh, former Chairman of CAN, FCT chapter, Rev. Israel Akanji and Aso Villa Chaplain‎, Pastor Seyi Malomo.